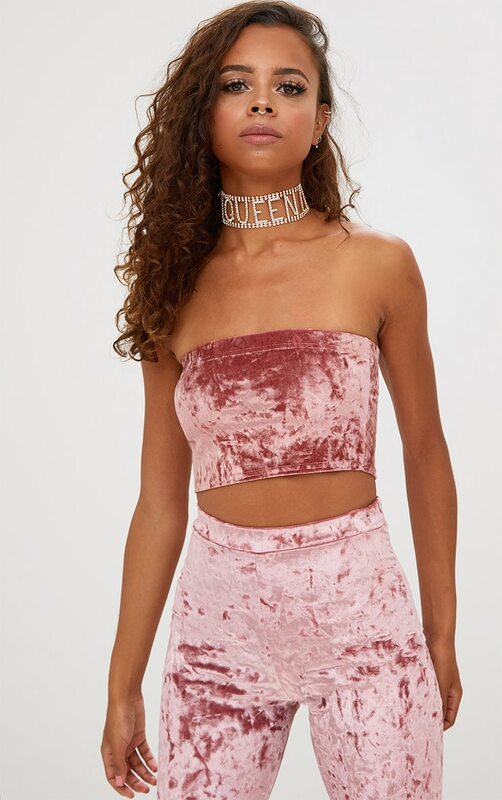 Get dancefloor ready girl with this lust worthy crop top. Featuring a flattering bandeau neckline in a velvet fabric so you get all the right feels. We love this styled with the matching trousers and killer heels.